Did you know that you are made of three parts and they are all important? You are made of body, mind and spirit. With your body you communicate with other people. You talk to them, listen to them, touch them, see them. You play with them and work with them. With your mind you communicate with other things; you read books, watch TV, learn at school, listen to music, enjoy entertainments. With your spirit you communicate with God. Come on an adventure � it�s called prayer. Build your friendship with God and with him beside you discover how amazing life can be with the all knowing, all powerful, almighty God as your guide. 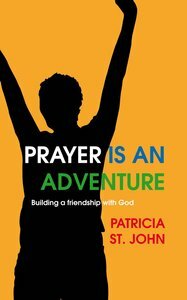 About "Prayer is An Adventure"